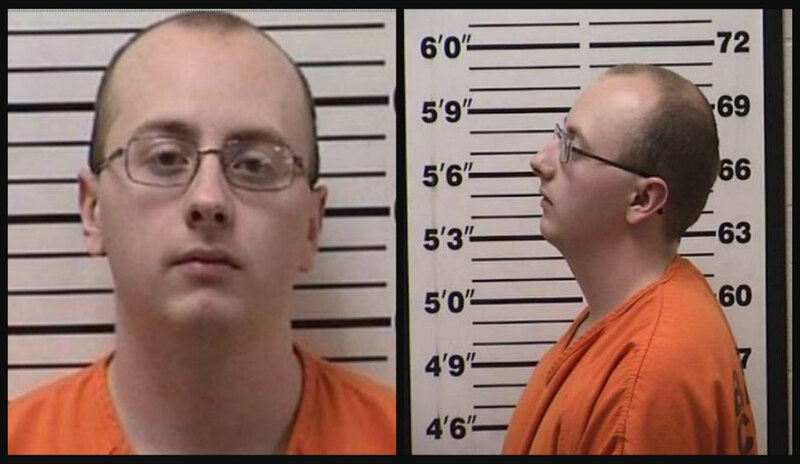 The man accused of kidnapping Jayme Closs after shooting her parents to death in October had one intended target, and her parents stood in his way of obtaining her, according to police. Despite rumors and speculation spread heavily across social media, Barron County Sheriff Chris Fitzgerald reiterated that there is no evidence to suggest suspected killer Jake Patterson knew Jayme’s parents, Denise and James Closs. The sheriff said the 13-year-old’s parents were in the way of his goal of taking Jayme with him, and the end result left the Closs couple dead. “We believe Jayme was the target, and he (Patterson) was getting rid of possible barriers to taking her,” Fitzgerald told CNN. Around three years ago, Patterson worked at Jennie-O, the same company Jayme’s parents worked at. However, Jennie-O in Barron is a large company with offices and plants that employs numerous people in different branches. Patterson worked for the company for a day before quitting, and there is no information to indicate he ever saw Denise and James Closs. “There doesn’t seem to be any connection between Mr. Patterson and the Closs family at all,” Fitzgerald added. Fitzgerald also said the attack was “well-planned,” with Patterson shaving his head completely bald so that he wouldn’t leave DNA at the crime scene. Patterson is currently behind bars facing two counts of first-degree intentional homicide and one count of kidnapping. He’s scheduled for a court appearance on Monday at 3:30 p.m. CST. On Thursday at around 4:45 p.m., a woman was walking a dog in a housing development just outside of Gordon, when a girl with matted hair approached her for help. The woman, former social services worker, Jeanne Nutter, ran to a house further down, hoping to get as far away from the home Jayme disappeared from before asking for help. They arrived at the home of teacher Kristin Kasinskas and her husband, Peter, who live off of S. Eau Claire Acres Circle with their children. The neighbor, frantic, explained that the girl was Jayme, who was abducted after her parents were shot to death inside their Barron home. The Kasinkas told CBS that Jayme appeared dirty and unkempt, wearing leggings, oversized men’s shoes and a sweatshirt. “She looked the same as in all the photos and little thinner. Her hair was still the same color and length. She just looked a little unkempt like she hadn’t been able to take care of herself or something,” Peter said. Authorities arrived and blocked area off surrounding to a cabin off of the 14100 block of S. Eau Claire Acres Circle, then apprehended Patterson. 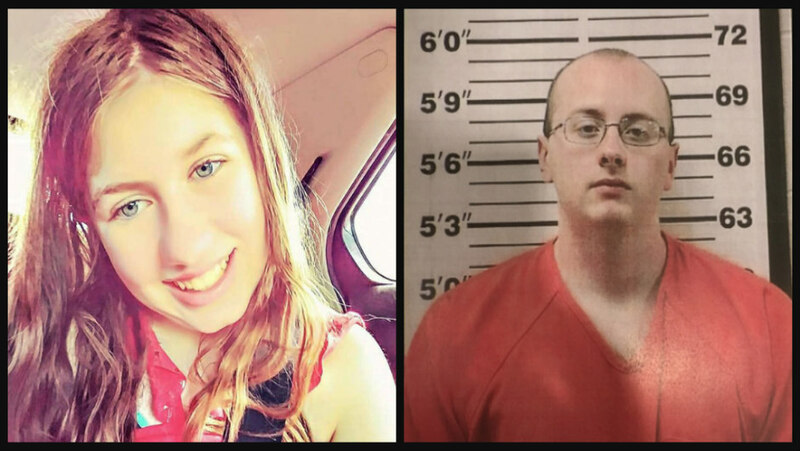 Barron County Sheriff Chris Fitzgerald said during a press conference on Friday that he wasn’t sure if Jayme was restrained in the home or how she managed to escape. The suspect was not in the home when she ran for help. According to Fitzgerald, Patterson was driving around looking for Jayme when authorities pulled him over, the Chicago Tribune reports. Police took Jayme to the Essentia Health-St. Mary’s hospital in Superior shortly after her rescue. She was held overnight for observation, then reunited with her aunt in her hometown of Barron. As CrimeOnline previously reported, Jayme disappeared from her Barron home after two adults, identified as her parents, James Closs, 56, and Denise Closs, 46, were found dead a little after 1 a.m. on October 15. Both victims were shot to death. According to Fitzgerald, a 911 call from the home had noises in the background, but no one specifically spoke to the dispatcher. The 911 dispatch log released on October 18 indicated the call to 911 came from the cellphone of Denise at close to 1 a.m. Barron County Sheriff Chris Fitzgerald indicated no one could make out the words of the caller. According to the call log, the 911 dispatcher called the cell phone number back numerous times but didn’t receive an answer. Within four minutes from the time the initial call was made, officers arrived at the home, but Jayme was already gone. Three different officers were dispatched to the family’s home, around 45 miles northwest of Eau Claire. The first officer arrived at the family’s Barron home by 1 a.m., and 56-year-old James Closs was found by the front door. At 1:03 a.m., the officer noted that a male was down and “multiple rounds” had been spent. The incident was initially thought to be a suicide before the officer knew Denise had also been shot. At 1:06 a.m., the officer stated that the front door had apparently been kicked in. At 1:11 a.m., an officer reported that both James and Denise “were down” and unresponsive. Barron County Sheriff Chris Fitzgerald later confirmed that both victims had been shot and killed. Their deaths were listed as homicides. Over two hours later, at 3:57 a.m., officers entered Jayme into the system as a “missing juvenile.” They combed the house and area thoroughly for the teen first, noting that they couldn’t find her nor any clues to her whereabouts. At 5:13 am, dispatchers sent out a “Missing Endangered Child” notification, indicating Jayme was likely abducted from the residence. Authorities later said she was likely taken by gunpoint. Authorities previously stated they didn’t have a description of a suspect. There was nothing amiss in her home or school life on surface, and family and friends said Jayme did not have a boyfriend. Investigators reportedly searched her social media accounts and didn’t find anything unusual. Fitzgerald reiterated that there is no evidence to suggest the suspect ever knew Jayme or her parents. Although Patterson did work at Jennie-O a few years back, the same place Jayme’s parents worked, there is no indication that he ever met or crossed paths with them. Patterson, according to Fitzgerald, only worked there one day before quitting. Check back with CrimeOnline for additional details.